reliability, low cost, and enhanced usability. Algoworks’ Performance Engineering & Testing team have extensive experience in providing cutting edge services to global clients. 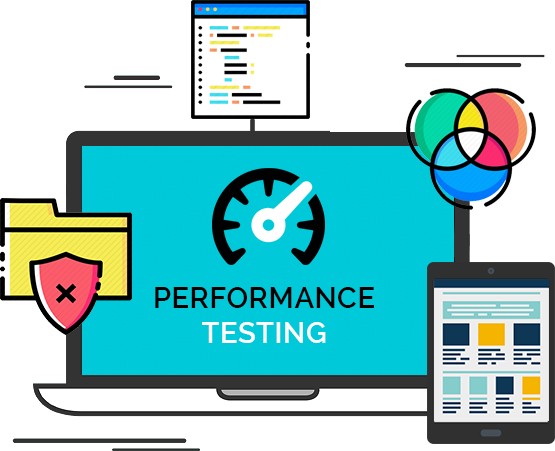 Algoworks’ Performance Center of Excellence (PCoE) offers end-to-end performance testing solutions therefore help clients in launching future proof applications with high responsiveness, availability, and scalability. Right mix of product development, testing and years of performance testing/tuning, capacity management experience. Managed services with respect to client’s requirements and specifications so as to provide cost-cutting and time-saving performance testing. Able to simulate real world traffic from different geographies with minimal cost for and investments by clients. Our Mobile Testing Teams holds proven expertise in testing and methodologies to offer a wide range of testing solutions. We offer our services across all major Mobile Devices, Platforms, Domains and Operating Systems. Team of professional testers holds niche in Server side testing of Mobile Portal servers; Validation of device level Memory/CPU/Battery impact analysis of Application scenarios, Stress Testing of Mobile Applications. 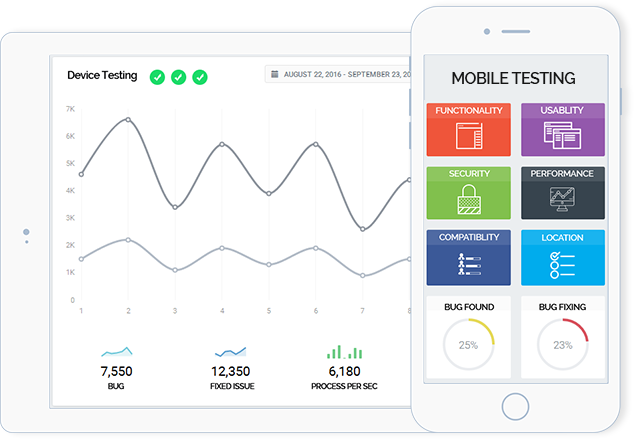 Perform mobile test automation using real devices and emulators. Testers create a test on one device and run it on any other device model or operating system. Setting up a private cloud test infrastructure and cloud-based testing of Applications on various Mobile Platforms and Devices. Mobile cloud testing allows accessing hundreds of devices, multiple operating systems and several versions of the OS. 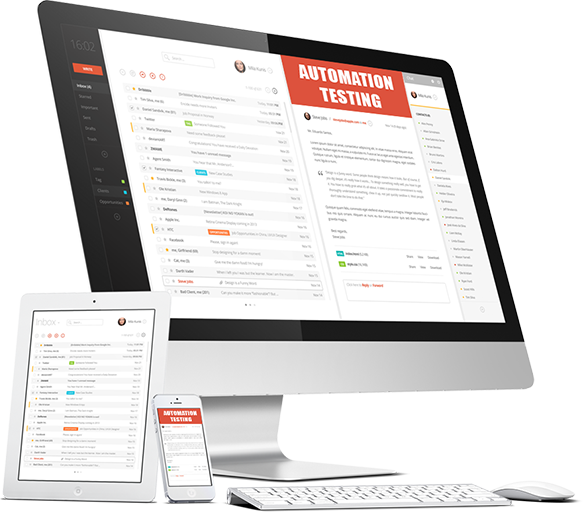 Our Test Automation services encompass offerings ranging from automation strategy up to automation of regression test suites. Our experts have experience in identifying the right test case for automation, selecting the right tools and optimal set of frameworks which will yield the best ROI. We put our profound field experience into building our own automation framework that can quickly and seamlessly integrate into your workflow and deliver results fast. Our approach involves the assessment and analysis of ROI and thereby keeping your testing & test automation strategy relevant. Algoworks offers end-to-end automation solution for the software product of multiple domains viz. client-server, web-services, desktop applications, mobile applications, etc. 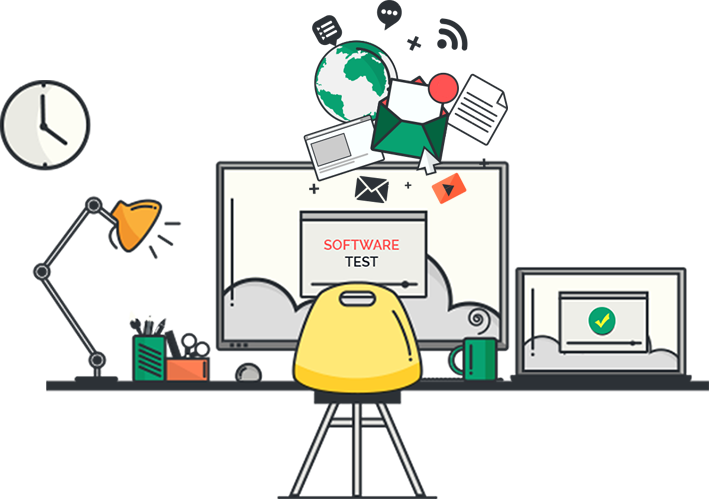 Our software testing management services focus on quality, real time management as per industry standard. 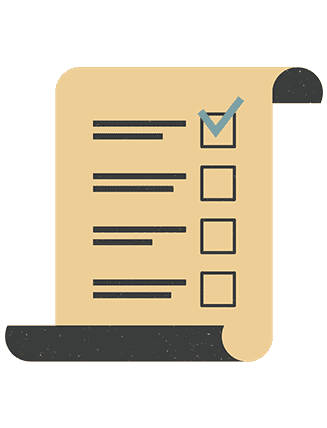 Steered by broad experience and utmost competence we offer software test management services with best techniques align a personalized test management strategy. We offer interactive framework to manage various services such configuration, security, test data, support etc. We offer our testing services in accordance to the client needs by making adequate changes in the test management process. We believe in interactive communication approach which speeds up client engagement activities. It is important medium for regular updates software progress. IF YOU ARE INTRESTED TO PURCHASE OUR SERVICES, CLICK HERE!